To seek approval of a number of proposals in respect of Children’s Services to transform the balance of care; to maximise the infra-structure available in the City; and, consequently to radically reduce the cost and use of high cost placements out with the City in tandem with enhanced locality family support. Partnership staff Rachel Bruce, lead pharmacist, and Chrissie Stuart, a practice nurse, won the Chairman’s Improving Health Category Gold Award for the More than Medicine project based at Crail GP practice, North East Locality. The Improving Health Category commends staff who have a Healthy Working Lives idea or have implemented an initiative to improve healthy eating, smoking cessation or improving mental health. The Partnership’s Families for Children Team was recently awarded the Best Online Campaign at the Scottish Creative Awards for their recent #opentofostering campaign. It was also Highly Commended in the Creative Strategy category - Integrated Strategy. This month we are celebrating the success of Partnership staff and projects at recent awards ceremonies. We also look at the work being done to train staff who work with people with dementia, the success of providing Money Advice Services in our health centres and a new campaign to help reduce numbers of young people smoking. To note the content of the final version Full Business Cases for the new Gorbals and Woodside Health and Care Centres, along with the associated project bundling paper. In doing so, to ensure members are sighted on key issues and are satisfied to approve the Full Business Cases (FBC). 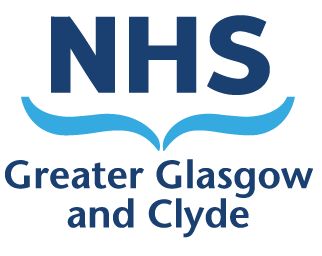 This report outlines the financial position of the Glasgow City Integration Joint Board as at 31 January 2017 (Health) and 20 January 2017 (Council), and highlights any areas of budget pressure and actions to mitigate these pressures. To provide an update to the Public Engagement Committee on activities and work of the HSCP Volunteering charter working group. To further seek guidance from the committee on how the HSCP acknowledges the contributions of members of the public who are engaging via our structures but not via a formal volunteering process.